Champion does a job that no other employment service does. We take both sides of the equation, the hiring employer and the hourly candidate, and evaluate their practical standpoint and psychological standpoint. Basically, we want to find out what is going to attract the right employee to the right employer. 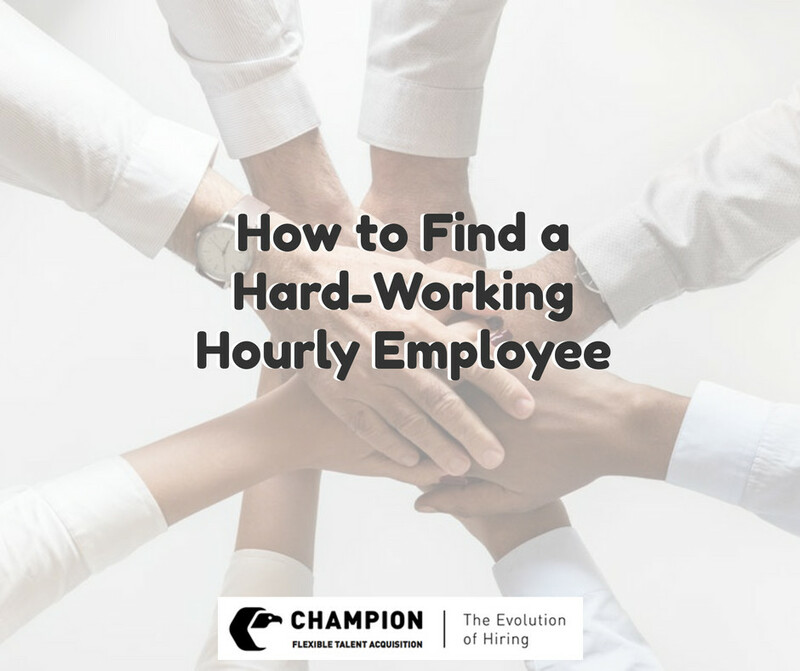 The key is making sure, especially with hourly hiring, to find a hard-worker who fits well with the company. To do so, Champion has devised a "Bill of Rights" for our clients to live by while they search for the right employees. Don't lie to your candidates, ever. Not under any circumstance whether it be in the interview, on the first day on the job, or any time on the job. People can usually tell when they are being lied to, though they may not say it. Someone who is lied to will definitely not give you their best. Take the time to train your employees, so they know they are doing the job right and take pride in it. Assign your hourly employee to someone who cares. Make sure that their supervisor can also be a mentor. Tell them why they are doing that job, especially when it comes to the customer. They are producing a product for somebody, and they want to know. Moreover, tell them why customers buy from you. This will make them feel more connected to their work. Cut them a little slack. Life happens, and sometimes you need a day or two off. Whether their car breaks down, their kid is sick, or whatever cut them some slack. Show them respect. If you want your hourly employee to respect you, then you have to respect them and make sure they know it. If you're ready to find a productive and hard-working hourly employee and don't know where to start, follow our Bill of Right. After all, you're only as good as your people so contact Champion if you have any questions about finding the right hourly worker.